Muffie Faith has mastered the fine art of surprise. She doesn’t jolt with avant-garde or surprise simply for the sake of surprise—she’s too smart for that. She’s more sophisticatedly subversive: Muffie pulls you in with classic style then catches you off guard with fresh, playful detail. 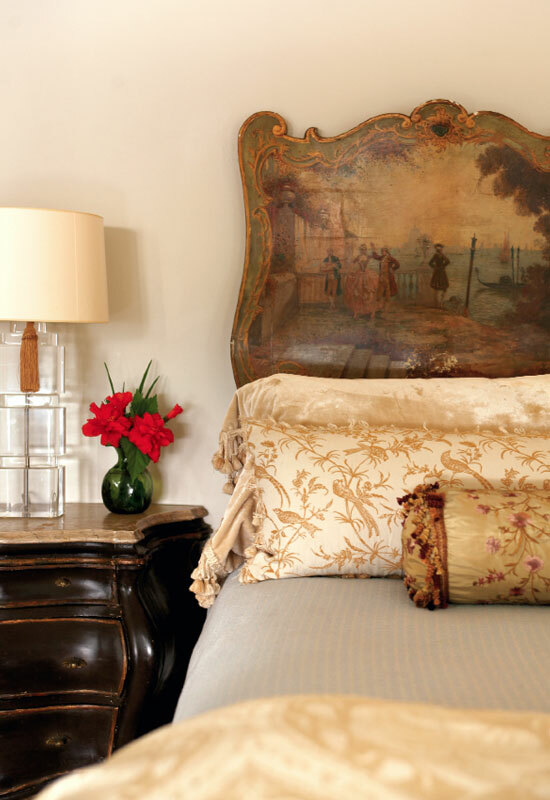 That’s part of her brilliant formula with ESD (short for Elizabeth Stuart Design), her eponymous home decor boutique; there, you never know what you might find—perked-up antiques, mod lamps, sparkling vintage chandeliers—only that it will be fabulous. 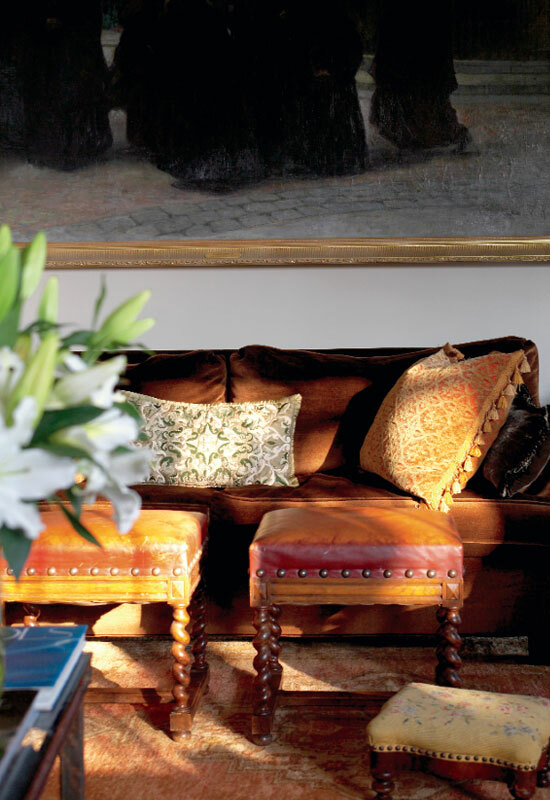 It’s also what makes her residence a homey haven of polished and perfected unpredictability. 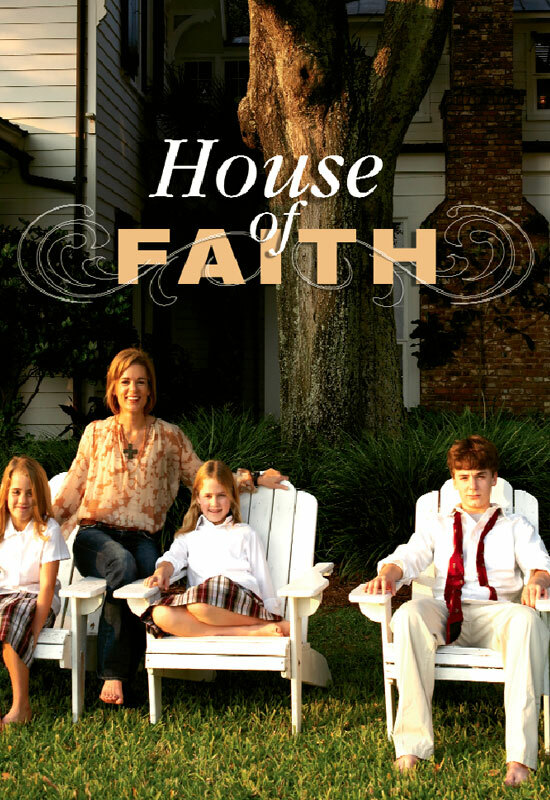 The approach to the Faith home itself entails an element of oh wow. Tucked into the quiet end of Haddrell’s Point in Mount Pleasant’s Old Village, the house sits on a high bluff hidden from the street. Trees obscure the initial view, so driving or walking up the handsome bluestone driveway feels like watching a theater curtain open. 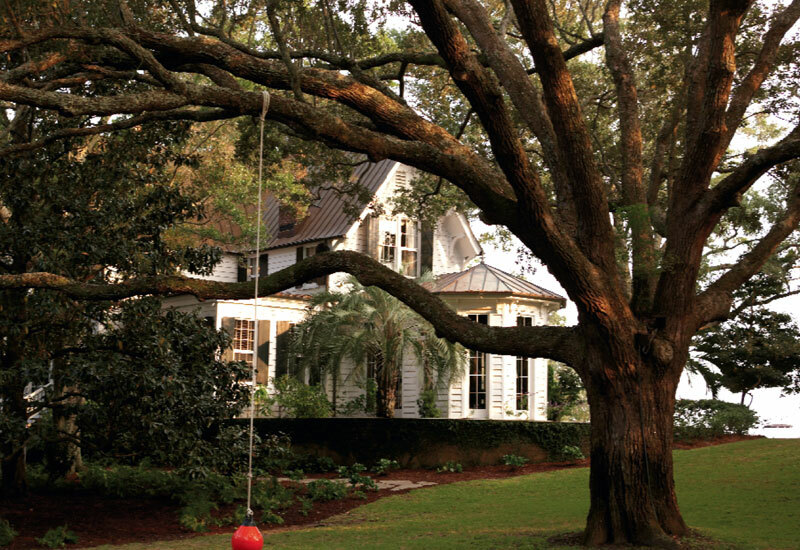 Gabled grandness and cottage charm meet under mature, glossy magnolias and imposing live oaks. 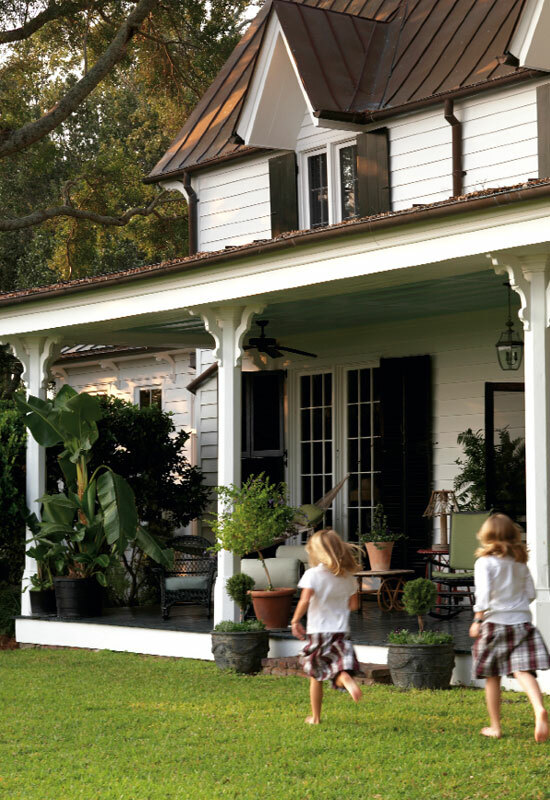 Rising tall from an old brick foundation, this is a quintessential white-framed, black shuttered, tin-roofed Southern showstopper. In fact, Muffie herself was taken aback when she first encountered the property some 13 years ago, back when she and her husband Bob were living in Houston, Texas, with their two young children. Muffie, a Columbia native and College of Charleston grad, found herself pining for home. “I’m the youngest of eight, and I’ve got a huge clan here. I always imagined moving back to South Carolina,” she says. 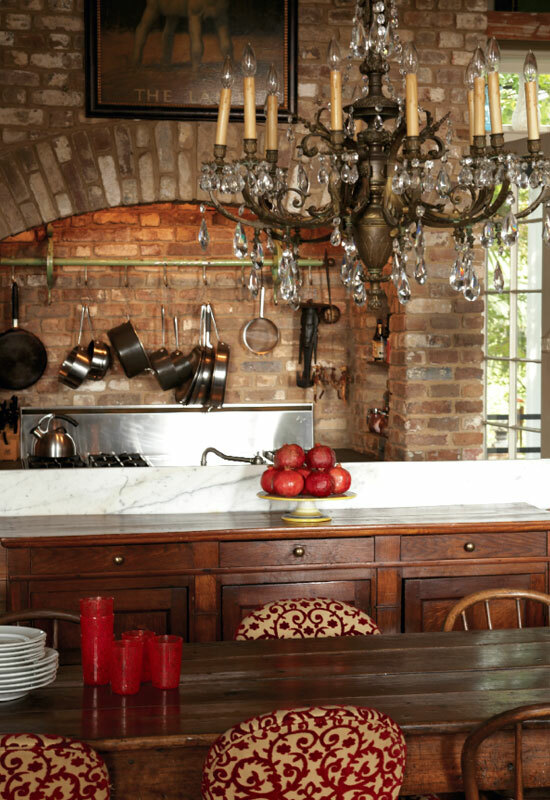 During one Charleston visit, she was checking out real estate, thinking a summer home might cure her Lowcountry longings, when realtor Chuck Sullivan showed her a derelict old cottage that’d been on the market for years. Nobody dared tackle it. “It was June, all the magnolias were in bloom; I walked in and my heart started racing,” says Muffie, talking a mile a minute in her typical high-octane mode. “It was like a spook house—a total wreck—but it had great bones and these amazing grounds. 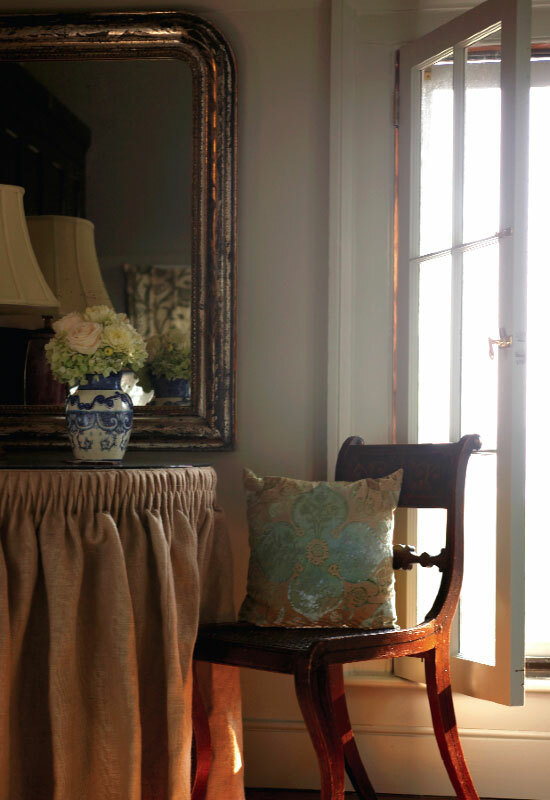 My imagination went crazy.” In what is now the dining room, Muffie pried a hefty two-by-four off a door to reveal a spellbinding harbor view. 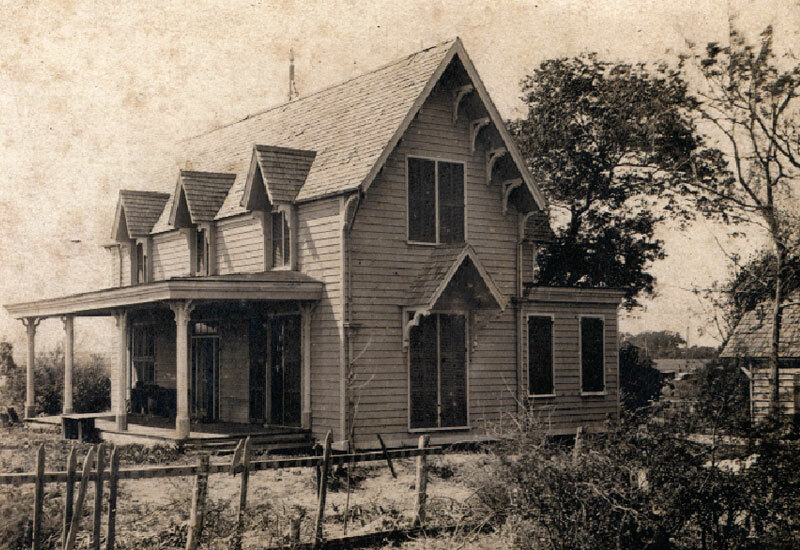 “Oh my gosh—it was unbelievable.” Even so, it took another two years before her husband even saw the house. Finally, she and Bob were in town together, looking at various Charleston properties. “I’m a great salesperson,” says Muffie. “I saved this one for last.” Her strategy paid off. Despite the fact that they’d just put a house under contract in Austin and that this 1850s-era Gothic Revival shambles needed an extensive overhaul, Bob, too, was smitten. “We just have to find away to make it work,” he said. 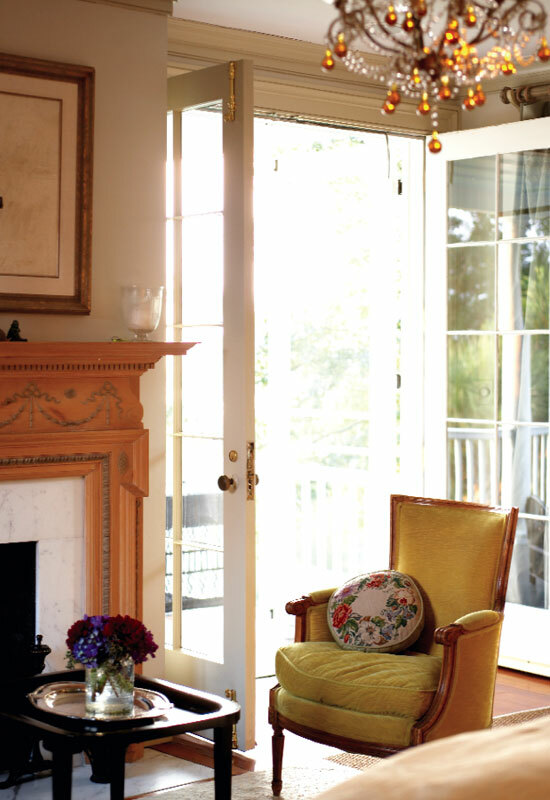 Resurrection Muffie, then expecting her third child, engaged the help of her former classmate and longtime pal, Beau Clowney of Beau Clowney Design, and contractor Richard “Moby” Marks to begin spiffing up this quaint, three-over-three room cottage that had once served as a Civil War hospital and a sea captain’s house. 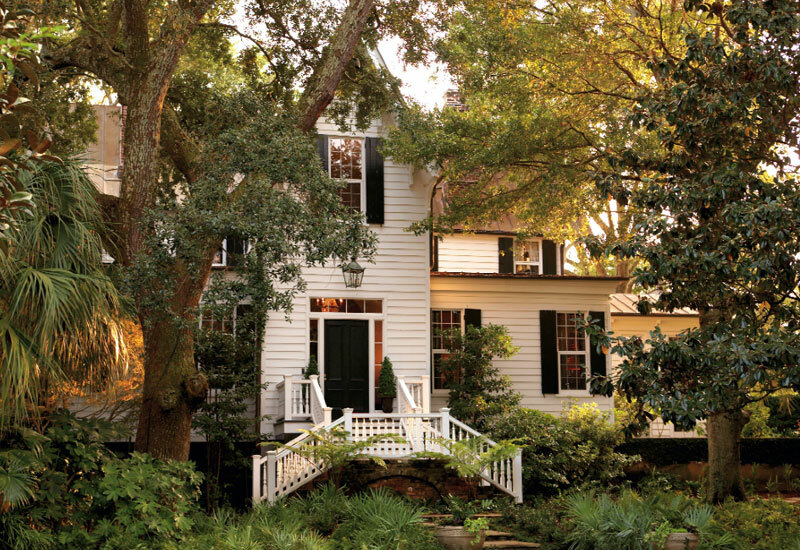 Their initial plan to keep it small and use it as a second home, however, shifted after Bob decided to move his business to Charleston. “Heck, if we can raise our children in an idyllic place like the Old Village, why not?” the couple reasoned. So in midstream, the moderate renovation morphed into a full-scale resurrection, transforming the cozy digs into a bustling family home. “The existing structure was such a gem, we were afraid of messing it up,” says Clowney, who had worked with Muffie previously on two Texas renovations. “In my view, when it’s an old building, there are right and wrong ways to go about it. The worst thing you can do is transform the original structure into a stretch limo.” So Clowney and a very pregnant Muffie commenced their planning. “We spent hours sitting on the roof eating egg salad sandwiches, dreaming this place to fruition,” she recalls. Their goal: to make a significantly sized addition look like it evolved over time, retaining the character of an old house. The solution: create a new “kitchen house” to bridge the old structure with the new and serve as an epicenter for this on-the-go family; vary roof lines to give deference to the original structure; and marry the interior and exterior spaces throughout, capitalizing on the magnificent grounds, majestic trees, and harbor views. Developing a master plan for the 2.7 acres was integral to the project, notes Clowney, who worked with landscape architect Sheila Wertimer and Muffie to create garden “rooms” and courtyards that had direct correlations to the interior spaces. 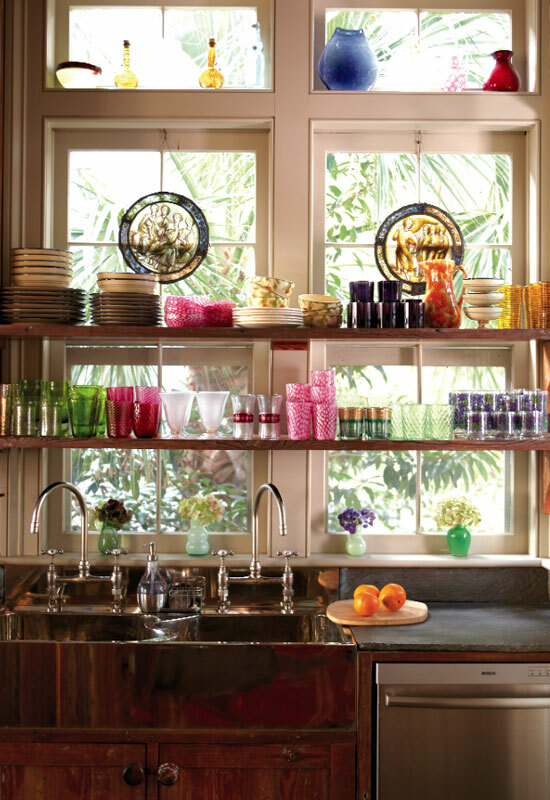 The kitchen opens to a romantic wisteria arbor toward the back, and a courtyard facing the water. 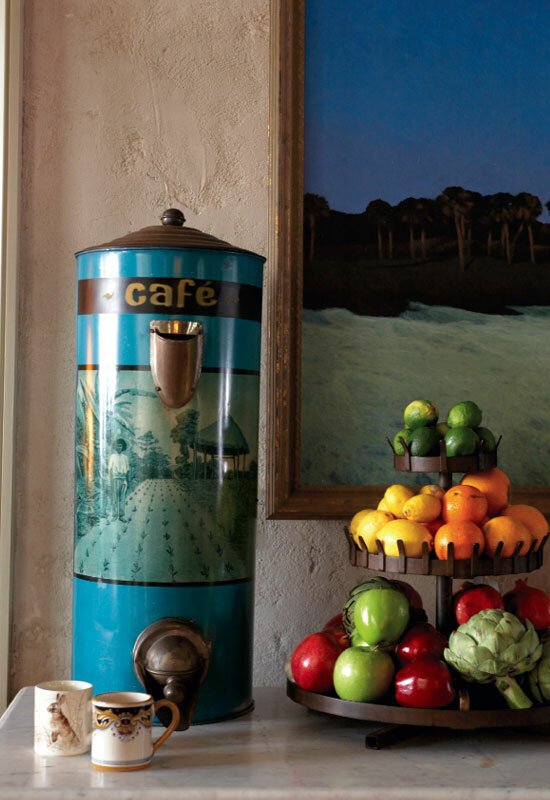 “I love the outside more than the inside,” admits Muffie, a one-time florist who grew up with a dream garden where she knew every shrub, every tree. 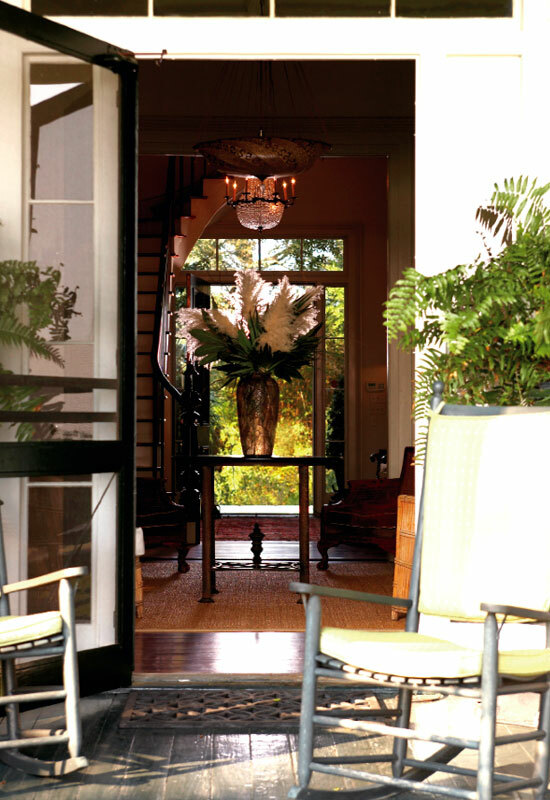 “Combining texture and color is all part of design.” The back lawn is gracefully terraced toward the water, and off to the right, tropical plantings veil the swimming pool. “I wanted to create an entrance through the hedge to this whole other oasis, this surprise,” says Muffie, who designed the exotic poolhouse as a “Thailand meets Pawleys Island" outpost. “Muffie has great taste and talent, such a keen design eye,” says Clowney. 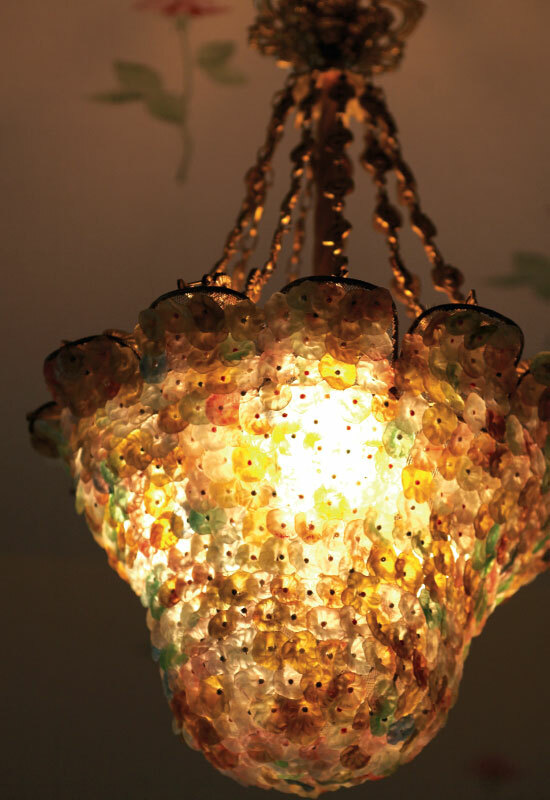 “She had very real expectations for every material and every finish. When a client knows what they want, the work is not about me or my design idea, but about helping them achieve their vision and parlay their personality into the project.” Perhaps this is why Muffie and Clowney collaborate so splendidly: her approach to design is also about infusing a space with personality and self-expression. “Home should be about what moves you, what makes you comfortable and happy, not about stepping into the illusion of someone else’s life,” she says. It’s a lesson she learned the hard way, while decorating this home. Redemption Muffie’s self-taught design career evolved naturally from her inimitable, instinctual style. “I was the kid constantly changing my room around,” Muffie says. “My brothers and sisters would say, ‘Hey, come see what Muffie’s done now.’ My mom gave me free rein to paint (kelly green with white trim!) and decorate however I wanted.” When Muffie couldn’t afford a coveted four-poster bed, she ad-libbed, suspending hanging baskets at each corner. 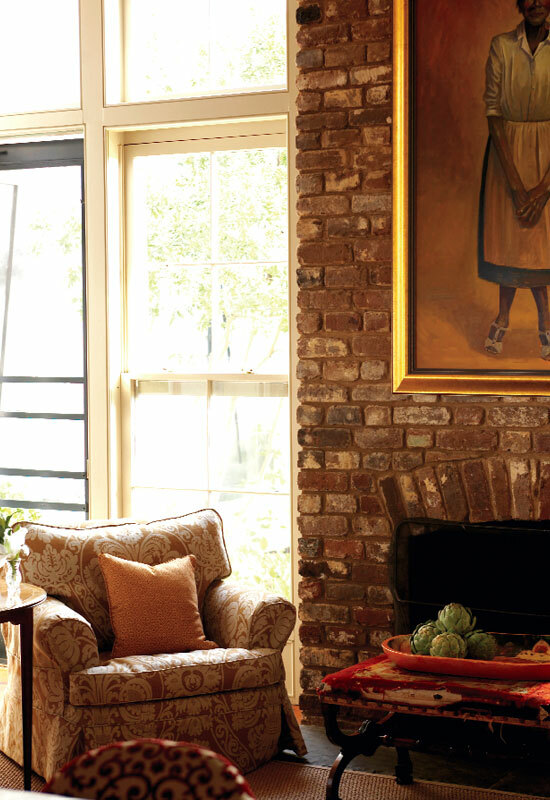 Always an art lover and collector, Muffie began buying antiques and other funky finds in Houston and selling them out of a small cottage in her backyard, which led to interior design requests, which eventually led to ESD—essentially a much-expanded version of her homegrown Houston operation. Her style has never been bound by rules; she simply has a natural feel for what works and what wows. And by the time she’d finished painting, arranging, and decorating her newly renovated Old Village abode, styling it to a “T” for a House and Garden photo shoot, the house definitely wowed, but, Muffie soon realized, it was all wrong. “The rooms looked great, but it was void, hollow, it meant nothing to me,” she says. “Here I had these little kids (Bobby, Stuart, and Beau, now 13, 12, and 10, were all under age four at the time) and I was worried about Disney stickers on the furniture. I thought, ‘this is crazy. Who are you? What really means something to you?’ It was a painful process for me to figure that out.” Muffie began to take inventory of her own life, then to radically edit and rethink the rooms. 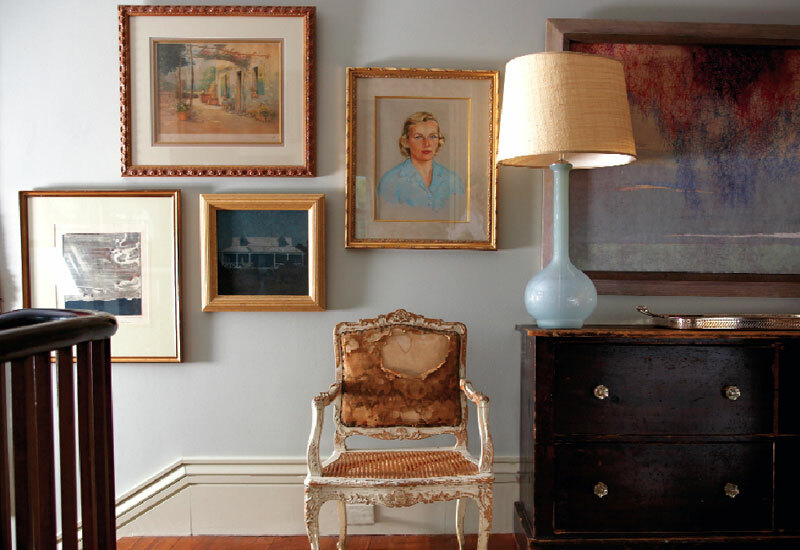 Though still picture perfect, they’re now enlivened with kids’ drawings and art with personal stories behind it; heirlooms from her grandmother’s house are mixed with treasures found on family travels; French antiques meld with Oriental accents—a beloved and well-balanced jumble. “No bird puts his nest together with one kind of stick,” she notes. 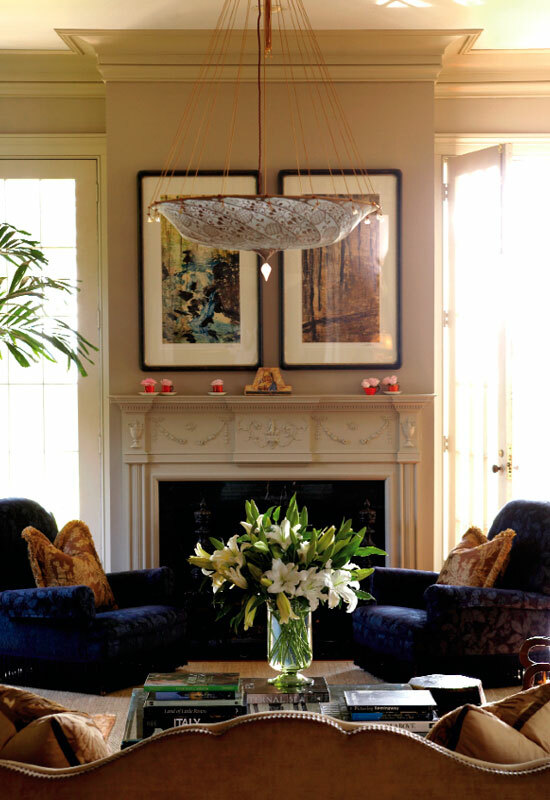 This revelation that style and soul are intimately connected was perhaps the biggest and most satisfying surprise that this house project held. “Sure, I can make something photo-shoot ready in a minute,” says Muffie, who was a 2005 winner of HGTV’s Designer Challenge. 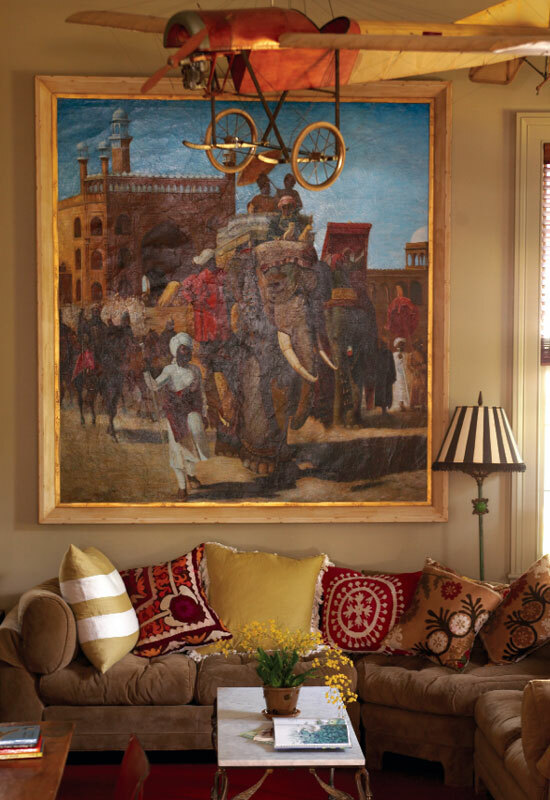 “But the real effort comes in putting emotion and meaning into it.” For Muffie, satisfying design doesn’t simply entail pairing the right fabric with the right painting in the right place, though that’s certainly part of it. In the end, it’s personal, it’s surprising. It’s an act of faith.